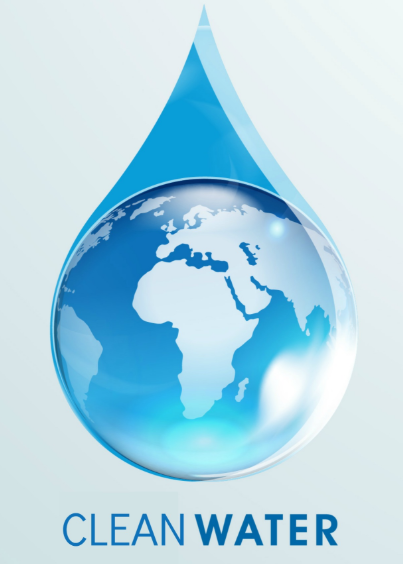 Clean water Filter: – The drinking water was getting contaminated with increasing level of pollution in the environment. The health issue was tackled on emergency basis and the clean water Plant was installed in the school by September and the lab tests are completed for water. This is certified clean drinkable water by now!. Free Books distribution: – An annual deliverable of free books distribution was completed by April 2018. This activity takes place at the start of every academic year along with stationary items. 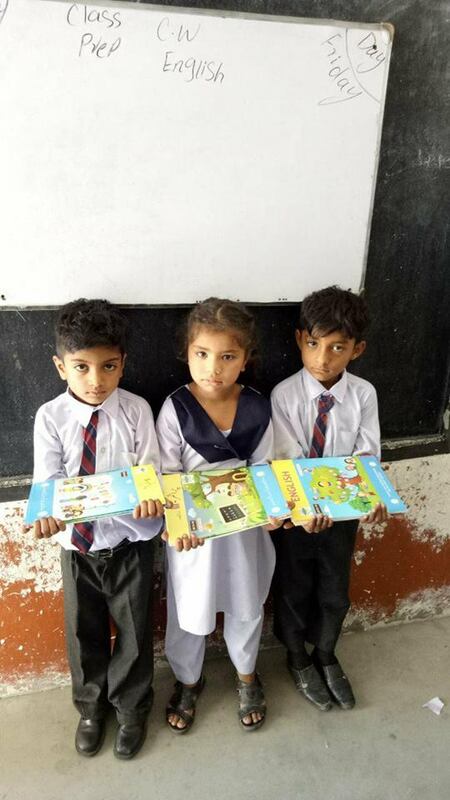 Young students were excited with the promotion to the new class and their new books. Scholarships for the passed out students sorted: – Huge thanks to our sponsors, who have taken ownership to provide the scholarship for the Students already graduated from the school and are being sponsored in another private school since APS is only up-to middle section yet. All requested students secured the 100% scholarships. 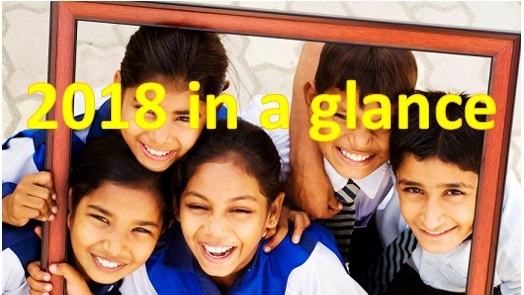 School Results: – APS maintained the record of Class 5th and 8th board exams 100% passing ratio and our middle school students who passed from Class 8th demonstrated highest results ever with an average marks ratio of 72%. We wish all the best to these brilliant students for the high schooling and beyond. 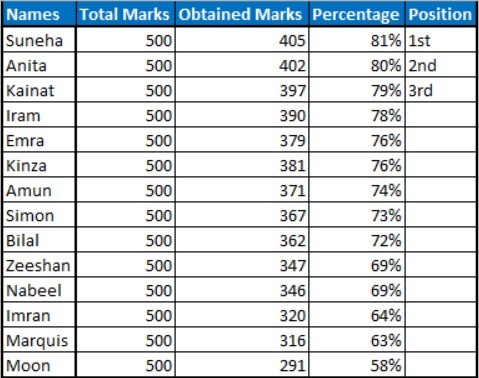 Here is a quick snap of Class 8th board exam results. 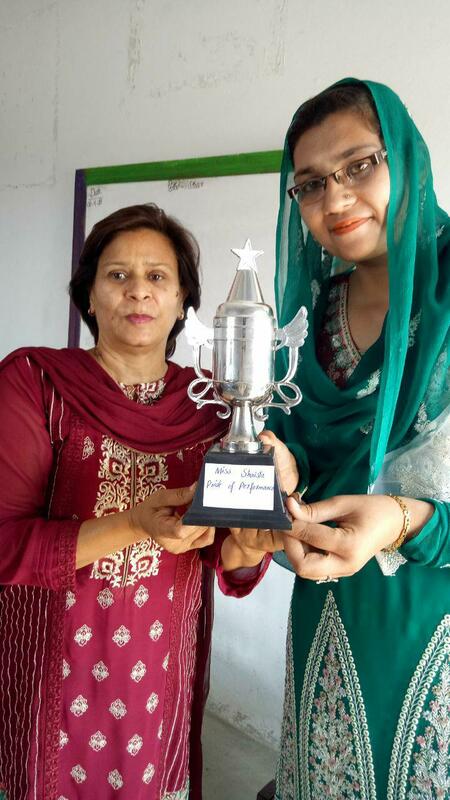 Teacher’s Excellence Award: – Class 8th In-charge and English Teacher was awarded excellence award for her all the hard work and performance. 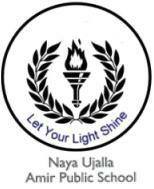 Miss Shaista has years of teaching experience and her hard work paid off with wonderful board results produced. Intel Ireland Employees write to Students: – Employees prepared some hand written cards for the students in APS which were delivered to the students after summer vacations. Delighted students responded with their hand written cards. 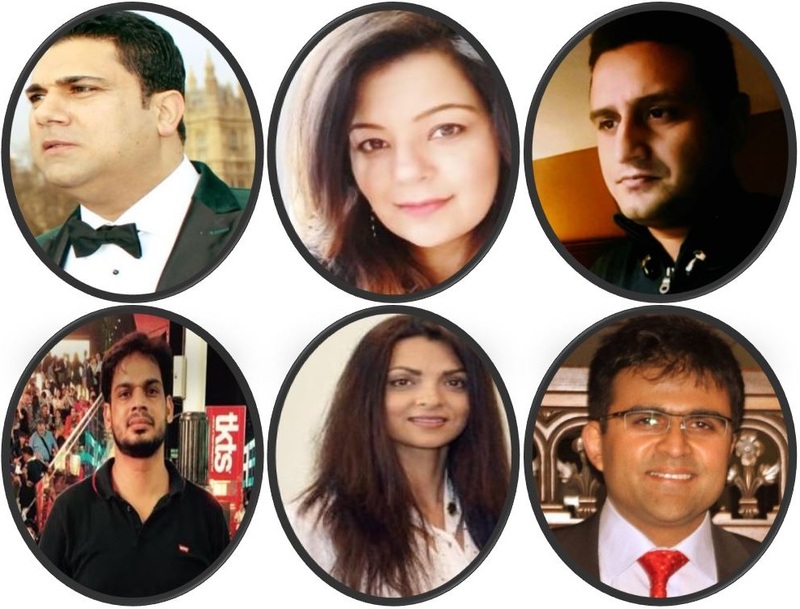 APS Student on track to be a Software Engineer: – Many Thanks to Ahsan Zaidi (our executive member) to take on the sponsorship of Rishna Nasir (APS Sponsored student). 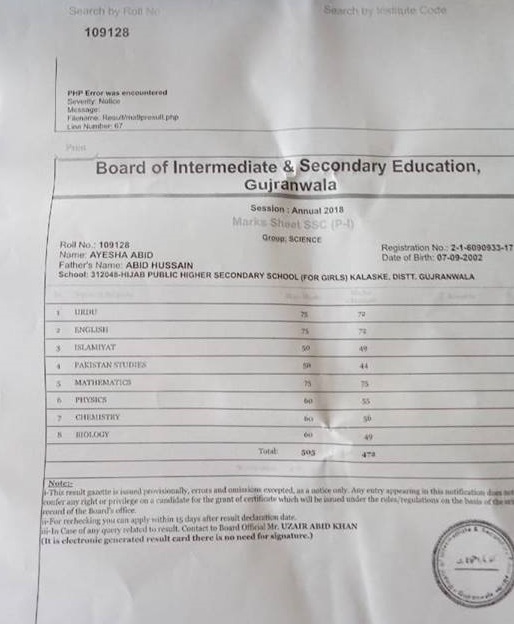 We appealed for the help last month to sponsor this brilliant student who has started 4 years program i.e BSC in software engineering from Gift University Gujranwala. This is a recognized institute from HSE. 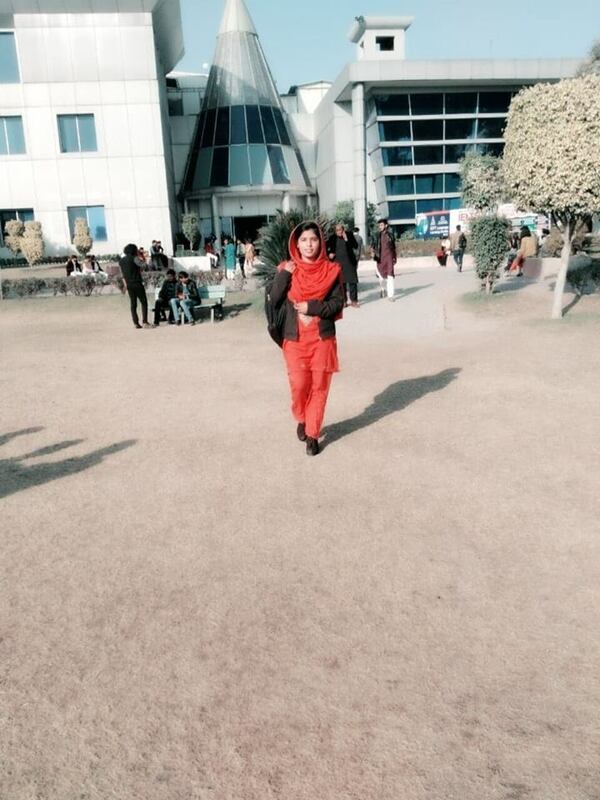 Following pic is sent by very happy Rishna on her 1st day in the university with thanks to her sponsor. Funds: – Thanks to our regular sponsor Shahid Bashir who responded to our appeal for paint job in the school and an on-going sponsorship by chipping in 115k PKR in the month of December. Our regular donor (Haroon Mirza) continued the sponsorship for one high school student by chipping in 25K PKR..i.e 175$, our new sponsor Ahsan Zaidi chipped in 63K PKR for Rishna’s 1st semester in Software engineering. Attendance rate:-The school attendance rate remained 93% in the year and we are seeking help from the families and students to further improve it. Sponsors in 2018:-Last but not least… I would like to thank our 2018 Donors for unstinting support to the school. Their contribution will open many new opportunities for these young men and women. Without the support and involvement of them, we could not reach our goals. Greatly appreciated.